Appropriate size is essential. The width is obviously selected as per the size of hatch however the length of loft ladders depends on its type. You should measure the height of your roof accurately because the length of the ladder will also be the same. Compromising the quality of material means you are going to put yourself at risk. Plastic should not be your priority even if it is 50% cheaper than wood or aluminium because plastic doesn’t withstand high pressure. The high-quality loft ladders in Essex are made with wood and some cases, aluminium is also preferred. More on, the longevity and weather resistant qualities should also be pondered to know whether the material is durable enough or not. 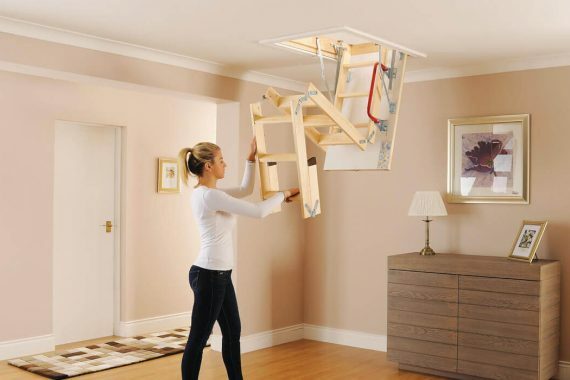 Folding Loft Ladder is quite suitable! The folding quality is necessary because it doesn’t only look great but is known as one of the best choices for small places. When the ladder is folded, it is simply adjusted back to the hatch and space is saved in an amazing way. Moreover, the sensor can also be installed in the folding ladder that works with a remote. Pressing the button on the remote means you can simply unfold the ladder without bothering much. The installation of loft ladder shouldn’t be messy because in that case, the paint of the roof and the seamless appeal will get affected. So, when you go to buy the attic ladders, it will be good asking the retailer regarding the method of installation. More on, at this point, make sure that you ask pertinent to the installation cost as well. In short, these suggestions can really help you buy the most appropriate loft ladder for your place and you may also become able to save the cost because top-quality ladders do not require maintenance cost.